MountainWest Capital Network honored Cariloha, international retailer of bamboo clothing, bedding and bath goods, as the 17th fastest-growing company in Utah. SANDY, Utah – At the 20th annual Utah 100 Awards, Cariloha climbed to number 17 out of the top 100 fastest-growing companies in Utah. Cariloha was among other successful businesses, such as Huntsman Corporation, Vivint, USANA, Nu Skin, and Ancestry.com that were also ranked on this year’s lists, as well as many other nationally recognized Utah-based businesses. The 2014 Utah 100 rankings are determined from thousands of eligible companies throughout the state representing all industries. The full list recognizes 100 fastest-growing companies, 15 top revenue-growth companies, and 15 emerging elite businesses, all of which are Utah-based, for-profit entities. Awards in the 100 fastest-growing categories are based on percentage revenue increases from 2009 through 2013. Top Revenue Increase winners have the largest dollar amount of revenue growth over the same five-year measuring period. Emerging Elite companies are selected from among companies with less than five but more than two years of operation that show significant promise for future success. 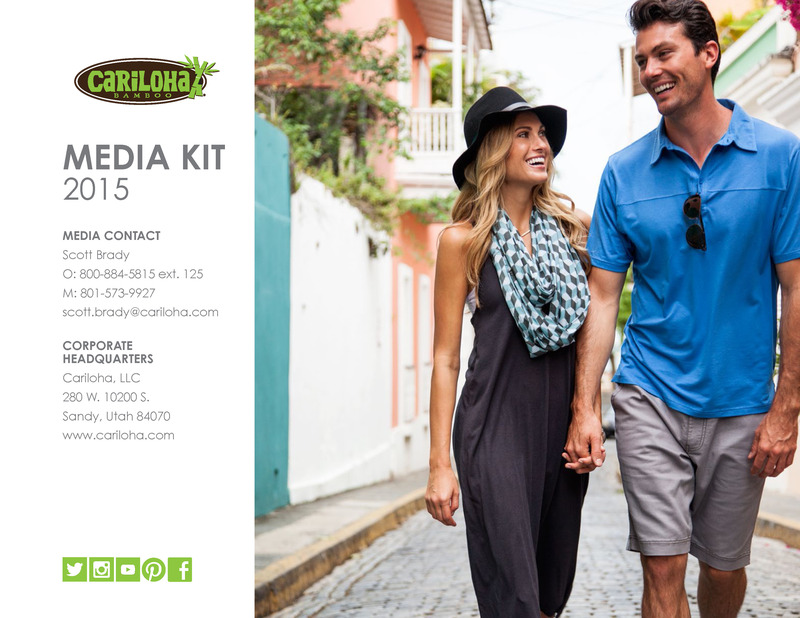 Cariloha experienced more than 800% growth in the last three years and has continued to climb substantially in 2014. The Utah 100 awards come after recent expansion into 47 retail locations in 14 countries, and more than 100 new additions to Cariloha’s bamboo product mix, including bamboo resort sheets, bamboo fitness wear, bamboo bath mats, bamboo socks, bamboo clothing styles for men and women, and many more. Established in 2007, Cariloha is the only retailer in the world to provide an entire store experience that’s completely outfit with merchandise made of bamboo. The product line features an exclusive collection of apparel, accessories, home décor, bedding and bath goods and more all made from bamboo. Cariloha’s soft, breezy bamboo goods were first seen out of three, full stores in Ocho Rios, Jamaica; Cozumel, Mexico; and St. Thomas, USVI. Since the first three stores in 2008, Cariloha has already opened stores in 14 countries and growing. Cariloha has quickly become one of the fastest-growing merchants promoted on board Carnival, Celebrity, Disney, Princess, Royal Caribbean and Norwegian Cruise Lines. Today, thanks to an ever-growing, rich supply of bamboo, Cariloha continues to offer an exclusive collection of apparel, accessories, home décor, bed and bath sets and more all enjoying the strength, soft touch, and green ‘footprint’ of this renewable resource. MountainWest Capital Network (www.mwcn.org) is Utah’s first and largest business networking organization devoted to supporting entrepreneurial success, and dedicated to the flow of financial, entrepreneurial and intellectual capital. LIKE us on Facebook and follow us on Twitter @MWCN and LinkedIn.